A few shots from around our beautiful city on a gorgeous summer’s day. 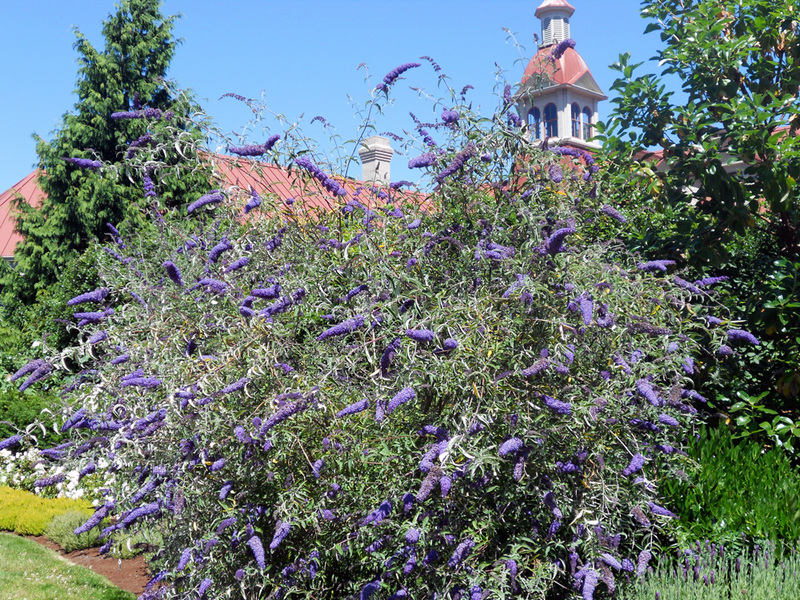 The sweet smell of Buddleia flower; several large bushes behind St. Ann’s Academy. 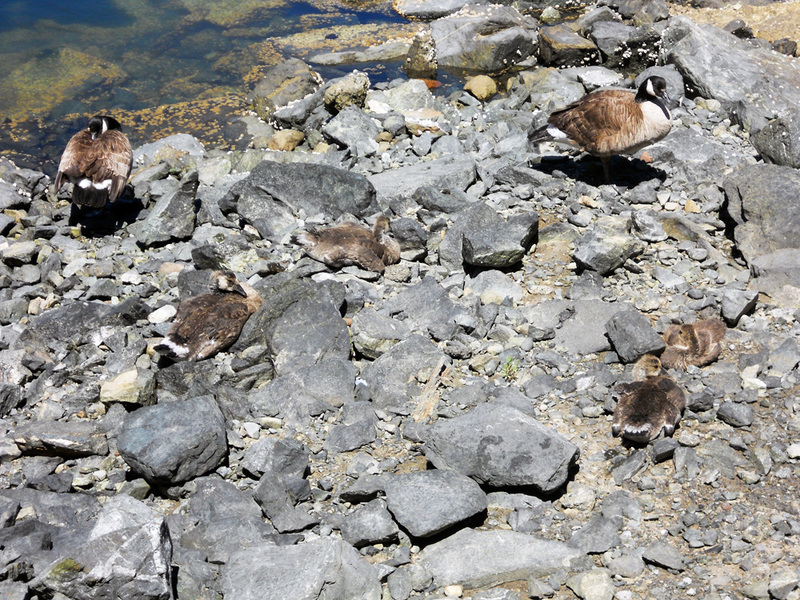 Two families of Canada geese – two parents and two babies each – sunning themselves near Fisherman’s Wharf. 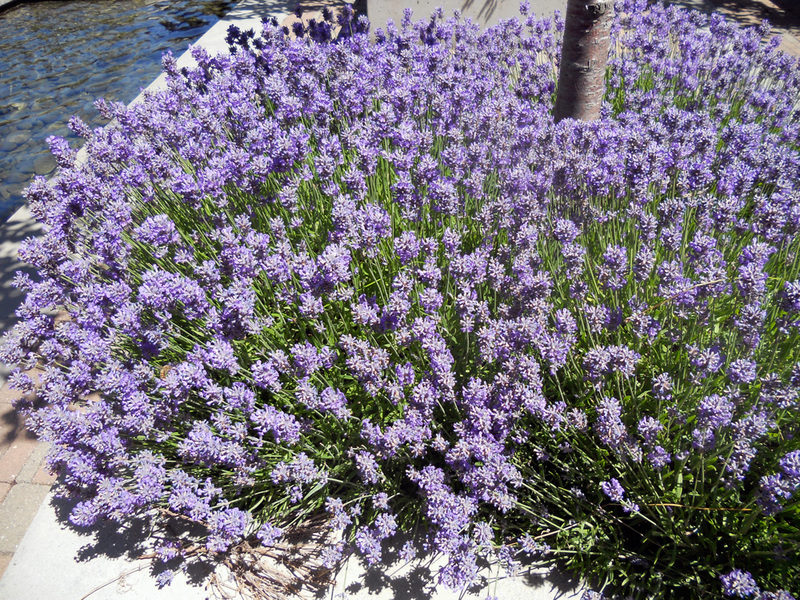 Lavender everywhere right now. 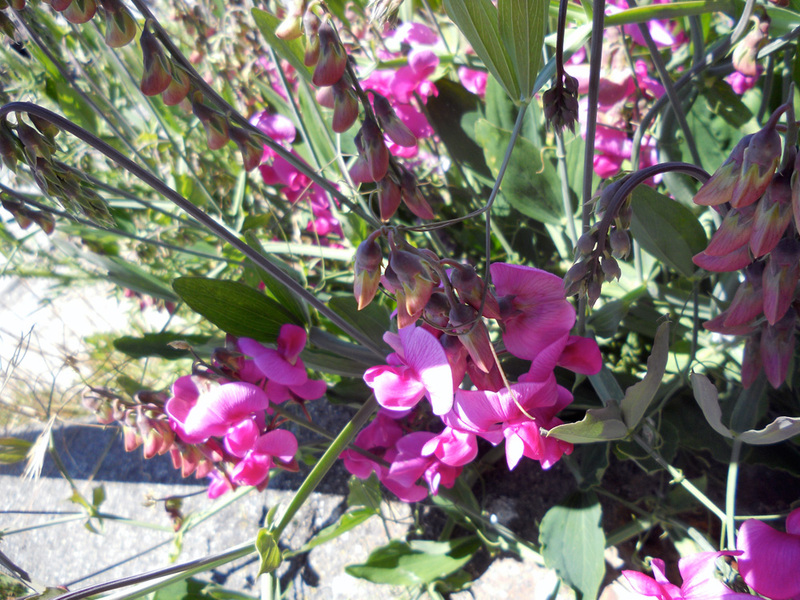 This grouping in the planter boxes by the fish pond at The Parkside on Humboldt. 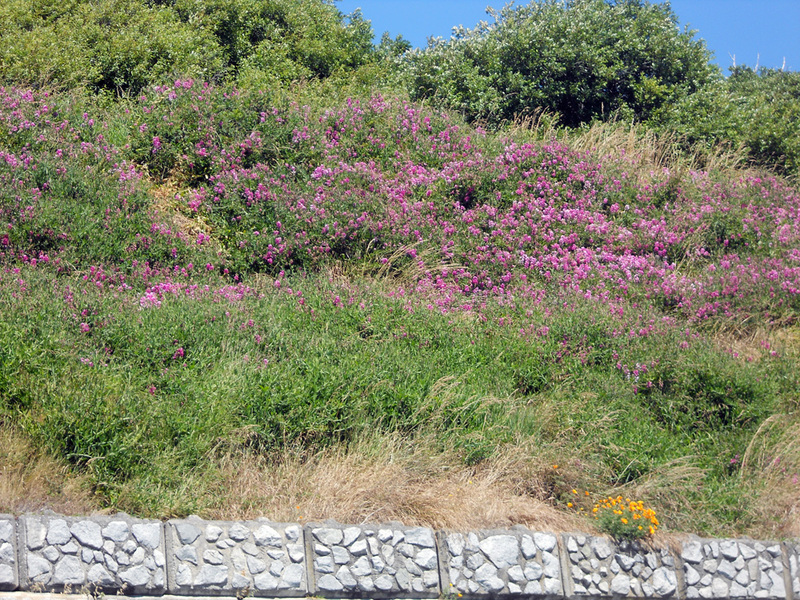 The wild sweet peas are in full bloom on the banks above the beach all along the Dallas Drive waterfront. 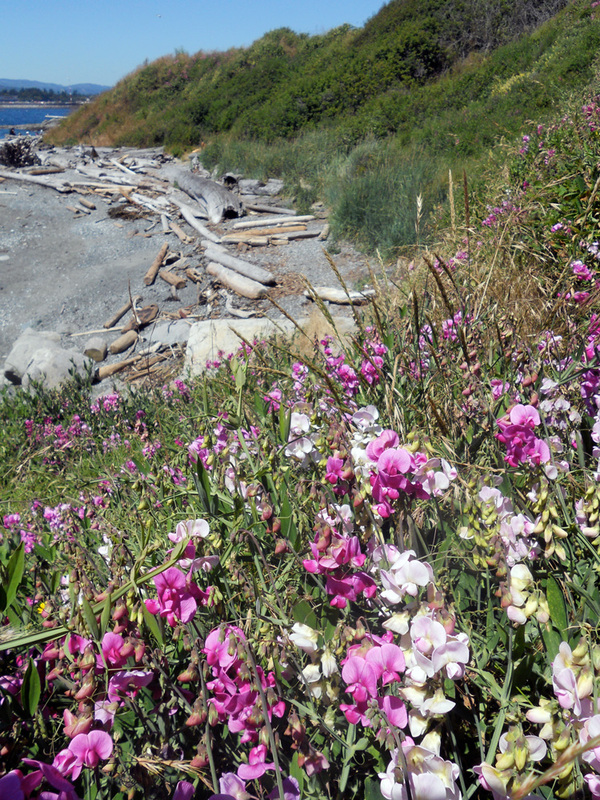 View to the beach through the sweet peas. 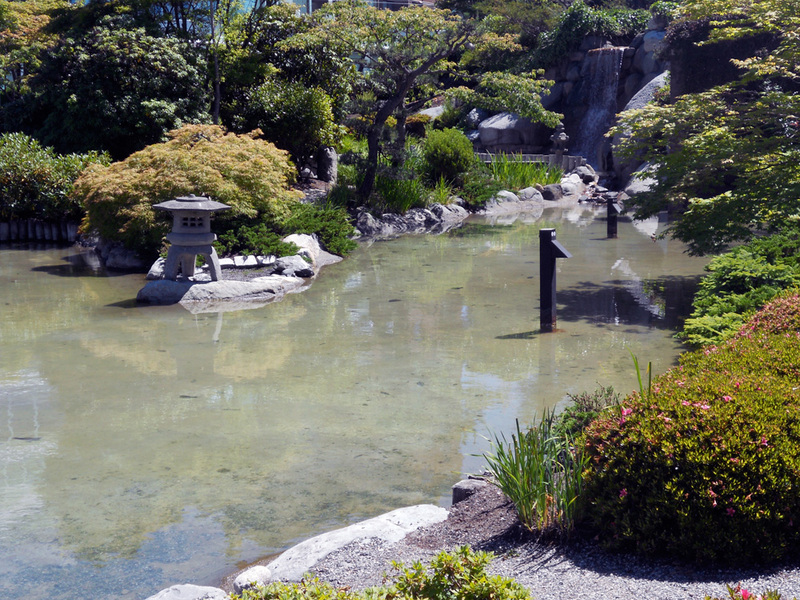 The Japanese garden at the Inn at Laurel Point.